DEADLINE: 30 June / 30 Sept (annually). Edulantern.com - The Kofi Annan Business School Foundation offers Kofi Annan Fellowships for motivated and talented students from developing countries to obtain a university degree in Europe. Academic partners of this program are European School of Management and Technology (ESMT), Berlin; HHL Leipzig, Germany; University of Utrecht, Netherlands; NOVA SBE, Portugal; Koc University, Turkey; and Business School Lausanne, Switzerland. For applicants who apply at ESMT Berlin in Germany using this scholarship, will study for two year of Master's in Management (MIM) or one year of full time MBA education. 1. Must be a resident in one of the UN's Least Developed Countries (LDCs), Landlocked Developing Countries (LLDCs) or Palestine. 2. MIM applicants should have a Bachelor's degree in any discipline with excellent grades, proficient in English, and less than 18 months of work experience. In certain cases a GMAT or GRE score may be requested. 3. MBA applicants should have a Bachelor's degree of any kind, a minimum of three years of professional experencie, proficient in English, and have a GMAT or GRE score. 4. Should have a willingness to contribute building the economy and society of the home country with entrepreneurial impetus. 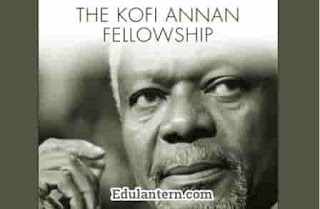 Applications for Kofi Annan Fellowships are awarded and accepted on an ongoing basis during the application cycle. The MIM program starts in September every year with an application deadline of June 30 (annually), while MBA program starts in January every year with an application deadline of September 30 (annually). Thanks for reading Kofi Annan Fellowships MBA Program in Europe for Developing Country Students. Please share...!